It has certainly been a while since I wrote about my pizza experiments at home. Last time we saw our superhero, I was still noodling with my dough recipes, and I was still unearthing some pretty significant take-aways in my quest to make a Neapolitan-style pizza at home without a fancy oven or special equipment. While my dough continued to improve, the heat source was still a big question mark for me. I was unsure that the grill was getting hot enough and was any better than making the pizza in my gas oven. So I decided to give it a shot and see what happened. Tags: cooking, making pizza, pizza. A few months ago, I met Jeni Bauer from Jeni’s Splendid Ice Creams. When chatting with her, she let us know that she is working on a cookbook to help us amateurs make ice creams as unctuous and creamy as hers. But I am impatient. And I want to make my ice cream NOW. So I hit the web to see if I could find any hints. And indeed I did. As it turns out, Jeni had given an interview with Food and Wine, sharing some of her secrets to making great ice creams at home. Of course, being myself, I decided to loosely use her recipes as a guideline but to add my own little twist. But more on that later. In order to familiarize myself with how ice cream actually works, I decided to do some research on how ice cream works scientifically. I had made ice cream once before, and the results had been ok (my most dedicated readers will remember that it was the eggnog ice cream from Broguiere’s in Los Angeles). The ice cream was flavorful but a bit too icy. It was more like an eggnog granita (if such a food can exist). 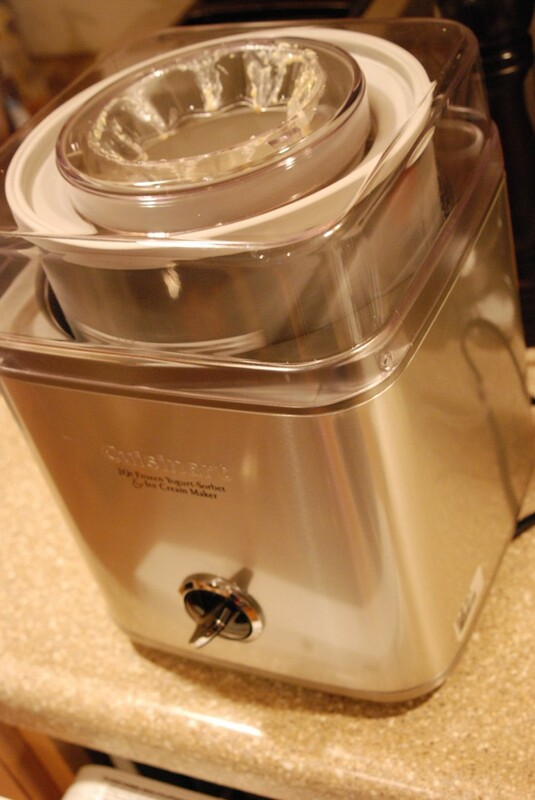 With that experiment in mind, I wanted to know what was going on in the ice cream maker, and, if possible, how I could prevent an icy mess again. Tags: cooking, cranberry, ginger, homemade ice cream, ice cream, Jeni's Ice Cream, pistachio. After several weeks on the road, I have returned to New York City. My break from the hustle and bustle of the city has left me rejuvenated and ready to once again inform the general public of my culinary exploits. 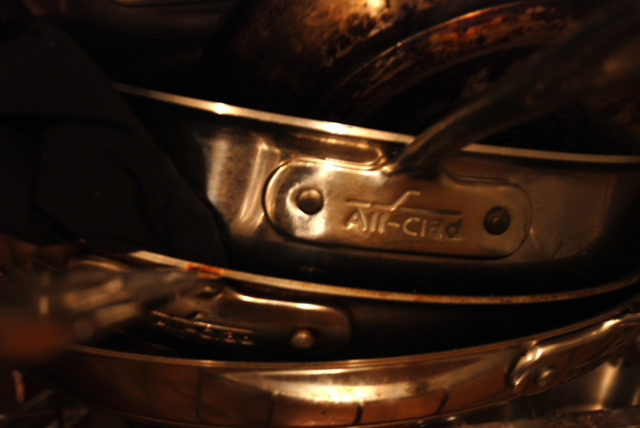 While I have several posts stewing on the back burner (food blog pun- ha! ), I thought I’d knock out a quick one for another light dinner pasta that I made a few weeks back. Per usual, I had very little in the apartment to eat and I did not want another sub-par prepared meal. Half-heartedly taking a look in the fridge, i found a couple of smallish beets that were a little bit past their prime, but decided to do something with them. I also had some old parmegiano reggiano. And some Trader Joe’s spaghetti. I decided that all of that stuff would probably work together. 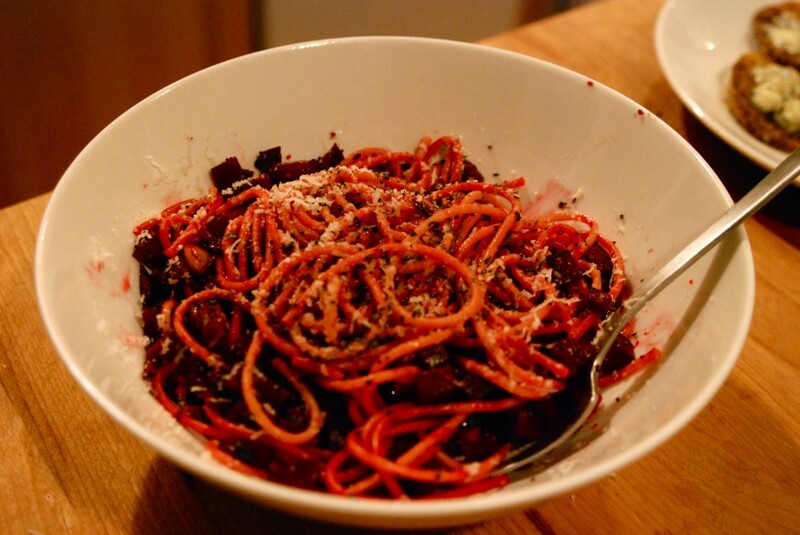 Even if it didn’t, the redness from the beets would create the illusion of eating a hearty meat sauce, so I would trick myself into satiety. If you read the blog on a regular basis, I think it’s safe to say that your assumption would be that I eat like a pig on most days. While I wish it were true, my dietary intake is actually fairly balanced. I try to incorporate as many fresh vegetables and as much roughage as I can into my diet during the week, then I eat like a fat kid on the weekend. Tags: cooking, mushrooms, recipes, wheatberries. 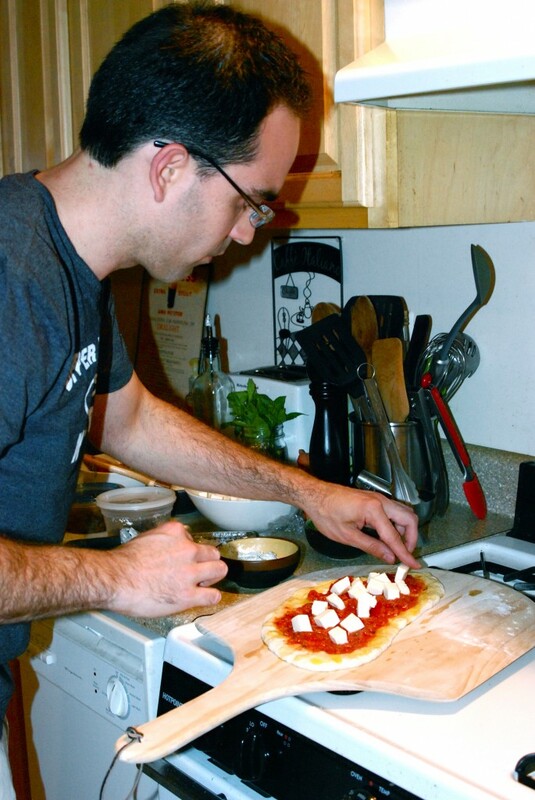 A few weeks ago, I kick-started the pizza-making craze here on blogging for burgers, documenting some of my early (relative) successes and (definite) failures. An avid reader of J. Kenji Lopez-Alt’s food lab experiments on Serious Eats, I am consistently jealous of his cooking experiments. I wanted to get in on the action. But here is what I think is the main difference. Kenji is a legitimate food writer and recipe developer (and he’s definitely awesome at it). 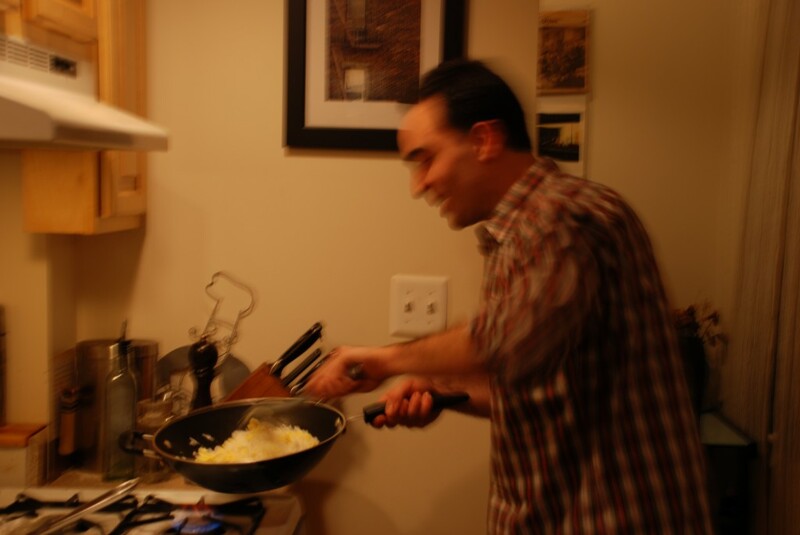 I am just a dude with a camera, a kitchen, and an insatiable appetite for obsessive internet research. In other words, I’m pretty much the same as you. I’m not able to write off any of my food expenditures, so I’ve gotta make sure that I’m not wasting anything I buy. In other words, I’m a cheap wannabe food writer. With that said, let’s get back to the pizza! 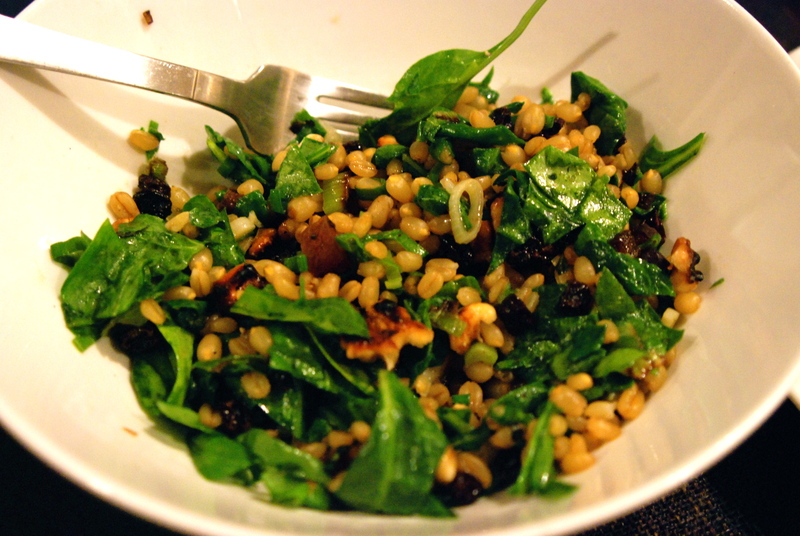 With these lessons in mind, I adjusted my technique and headed back to the kitchen.